Why Beaches Resorts? The PEOPLE rock! I’ve been wanting to write this post for a while now, but hadn’t quite found the words to explain our experience at with Beaches Resorts. How do you do justice to a group of people who make you feel so welcome and appreciated and at home all at once? That happens at Beaches Turks and Caicos Resort Villages and Spa. Frequently! Sure, amenities are important. Top notch food is a must. Gorgeous surroundings on a primo piece of beachfront take your breath away. But what really leaves you with the desire to return are the interactions with the staff. We had one of the most amazing experiences with several individuals in particular, I just have to sing their praises. First and foremost is Imee. I could say that Imee “works” at Soy Sushi, but that would not be true. Because what she does transcends “working.” She embodies friendliness and heart and genuine kindness. Imee remembered us from our trip to the resort in 2014. At first, I thought it was just her making us feel welcome and saying that because our faces were familiar. No, she knew that my daughter liked the caviar and she remembered my son wanting ice cream and they didn’t have any at Soy Sushi. So Imee ran over to the ice cream parlor next door and got him chocolate ice cream. Our jaws hit the floor. She DID remember us! Even more impressive, she went out of her way to make our meals at Soy Sushi memorable and special. She even saved a table for my daughter and husband for their Daddy-Daughter date and decorated the table with flowers. And our final night, she had added confetti with the flowers. She remembered our order from last time and duplicated it so we showed up and didn’t even have to order. Talk about VIP treatment! 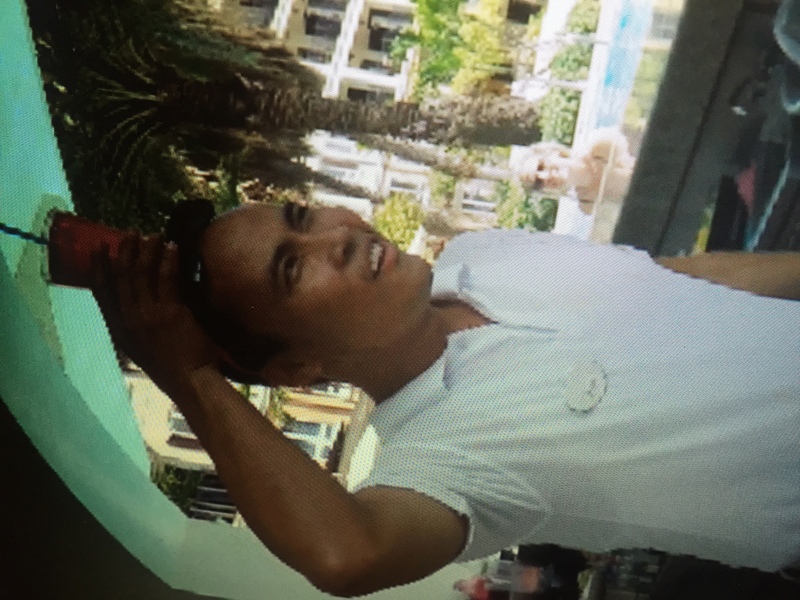 Imee isn’t just a resort employee that does her job well. She feel like a member of the family who is thrilled to have you return home. THAT is an amazing feeling. Thank you, Imee!!!!! She is a total rock star in our book! 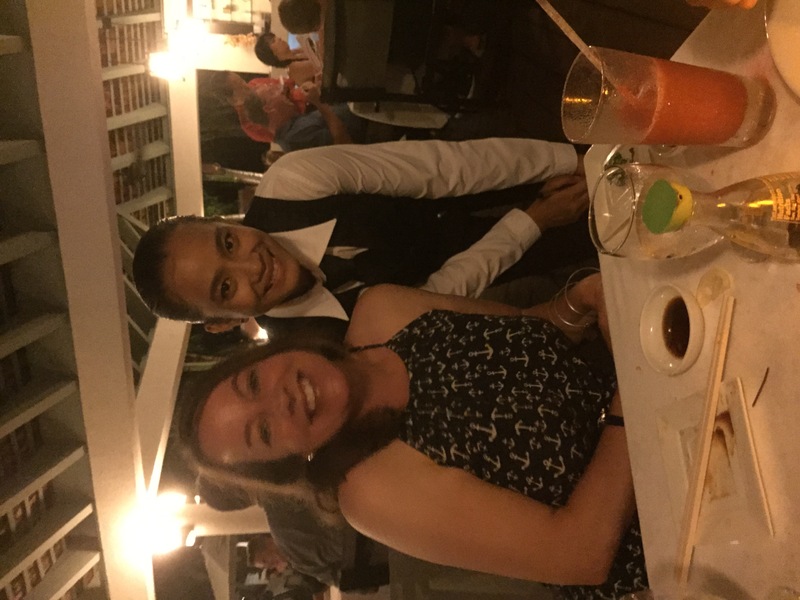 I want to celebrate Imee and the countless top notch employees that made our vacation so special. Like Junreal who decided to kick it up a notch and delivered our drinks on his head. Only he managed to spill a bit on his shirt. He kept on smiling and delivered the next drink on his head AGAIN. Same result! He was jovial and laughed about it. Because that’s just how he rolls. Finally there’s Dameko, who lifeguards over in Key West Village. He was fascinated with our drone, so that’s how the conversation started. But from there, we talked about how he came to work for Beaches, his life as a track and field runner, and his aspirations to be an engineer. It’s THESE kinds of interactions that move a resort beyond great to STELLAR. The common characteristics for Imee, Junreal and Dameko were their kind hearts, their friendliness and their willingness to let us get to know them and their lives when asked. Many of the staff are not native to Turks and Caicos, and they live sometime hundreds or thousands of miles away from their families and haven’t been home in months or even years. Yet you wouldn’t have a clue by their dispositions and their servant hearts. 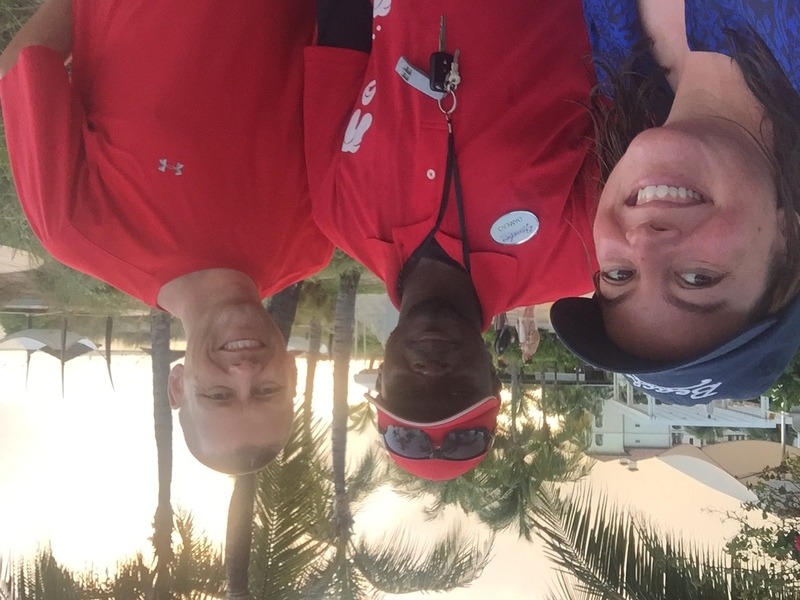 So this Christmas season, I’m saying special shoutouts for these rock stars who made our vacation at Beaches Turks and Caicos Resort Villages and Spa so outstanding! I pray that they and their fellow employees have a blessed holiday season and I hope they know what an impact they are making. Not only on our vacation experiences but also in our hearts. I love this so much! The people at Beaches were amazing and their warmth and kindness made our trip their exceptionally special, too. Love your good heart and holiday wishes for others, and second them!